The beauty of the just community, the beautiful stranger and tending Eden’s beauty are among the topics discussed in the latest publication from the Australian Catholic Social Justice Council. Written by Professor Patrick McCormick and edited by David Brennan, the latest paper brings a fresh perspective on the Bible’s account of Creation. 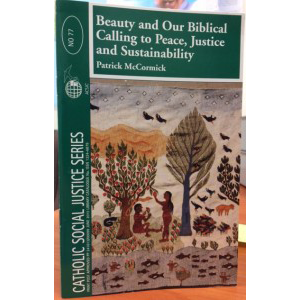 We are reminded that God’s vision for Creation, as conveyed to us in the book’s first chapters, is one of justice and peace. We are reminded too, that we are called on to rebuild and nurture this vision every day. 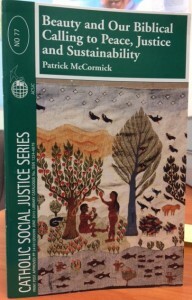 ‘The Bible inspires us to build and become just and peaceful communities of peace, justice and sustainability where all of God’s creation is cared for and tended to by uncovering and reminding us of the extraordinary beauty of the whole and every part of that creation,’ Professor McCormick wrote. In writing the foreword to the paper, Bishop Christopher Saunders, Chairman, Australian Catholic Social Justice Council, said Professor McCormick evokes for us the message the Bible carries of inclusion and love: that within Adam’s beautiful love poem to Eve – ‘bone of my bone and flesh of my flesh’ – is a call for us to recognise all humanity as brothers and sisters, all with their own inimitable beauty, all created in the likeness of God. Bishop Saunders adds that “for Australians, the vision of a beautiful and harmonious land of which we humans have been made stewards might recall the vision implicit in the culture of our Indigenous brothers and sisters. They too see themselves called to care for an ancestral country, but we need to remember that on many levels they have been excluded from that vocation and reduced to outsiders in their own land”. This entry was posted in Uncategorized on July 23, 2015 by ACBC Communications.